Urban Float CEO Scott Swerland and COO Joe Beaudry opened Urban Float six years ago. The company now has four locations in Seattle, one in Tacoma and one in Vancouver, Washington. It also operates in Ohio, Texas and Delaware, with plans to expand into more states in coming years. 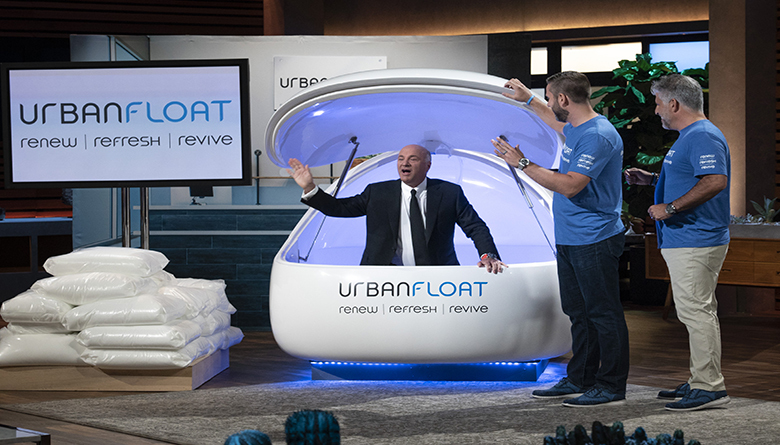 Clients float in a water-filled sensory deprivation pod, which the company says can offer stress relief and can also be used to treat pain management. It says recently published studies say floating can have lasting physical, mental and emotional benefits. The show has already been taped, but viewers must watch to see if any “Shark” wants to invest in the concept. Swerland says appearing on the show gives the company “international” exposure. “We created Urban Float six years ago to bring the benefits of float therapy to our community,” says Swerland. “The opportunity to share our story, along with the mental, physical and emotional benefits of float therapy on this platform is just unbelievable." The show will air at 10 p.m. PST.